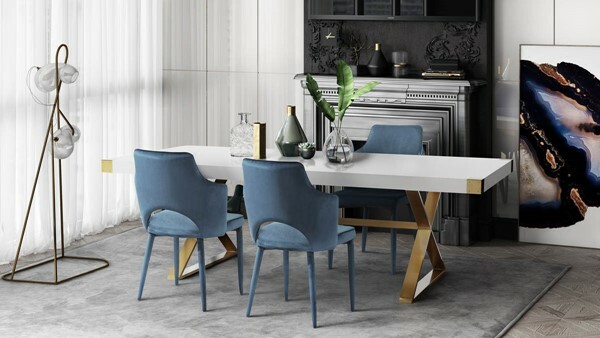 Inspired by our love for Hollywood glam decor, the Adeline dining table is the ultimate statement piece for your room. The contrasting white lacquer top and brushed gold base give this table the uniquely stylish look you want. Pair the Adeline with any of TOV's luxe velvet dining chairs for a sensational look.